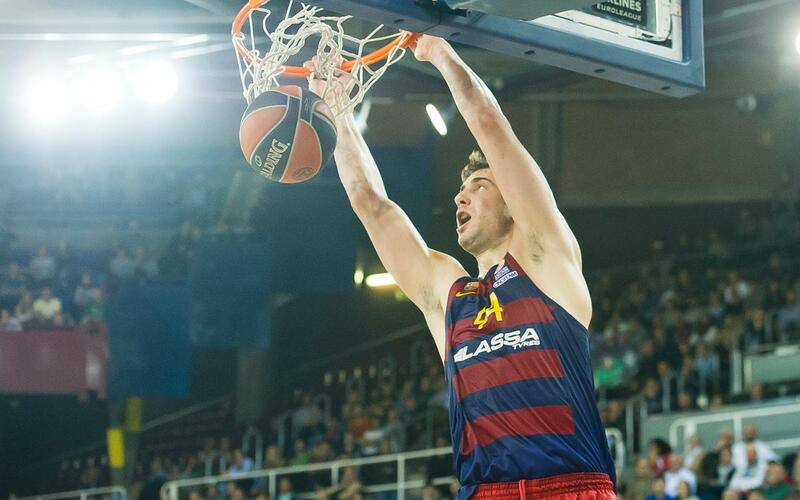 Another basketball Clássico is upon us on Friday, and once again at the Palau Blaugrana (9.00pm CET). This time Barça Lassa host Real Madrid in the EuroLeague, where after seven games, the Catalans are 5-3 and the visitors are joint second with a 5-2 record. It’s the third meeting between the teams this season, and Barça have won both the previous ones in the Spanish Super Cup and the Liga Endesa. After losing a close battle to Olympiacos, 59-52, the blaugrana have another chance to beat a side they defeated 85-75 in the domestic league a fortnight ago, an especially impressive achievement considering the number of players that were missing that day. There are still plenty of injuries for Barça to fret over, with Lawal, Ribas, Claver and Navarro all definitely out and a question mark over the head of Justin Doellman, who may be ready in time after sitting out the last few weeks with a sprained ankle. The all-whites looked good as they beat Panathinaikos on Wednesday, 87-84 with 30 points from Sergio Llull, one of the most in-form players. Pablo Laso has some formidable stars in his squad: Rudy Fernández, Randolph, Ayón, Carroll, Hunter, and others, who can all swing a match at any moment. They’re averaging 89 points a game and have one of the strongest offences in the competition. Good defending could be the key to a Catalan victory.